TURIN, Italy (AP) — Cristiano Ronaldo could return from injury for Juventus‘ Champions League match at Ajax next week. 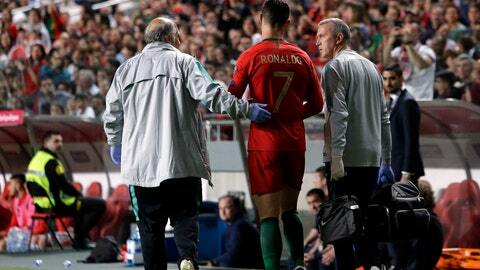 Ronaldo injured a right thigh muscle a week ago while with Portugal for European Championship qualifying. Juventus travels to Ajax for the first leg of the quarterfinals on April 10, then hosts the Dutch team the following week.